In a shocking turn of events, Cory Boyd was released by the Argos this past Sunday following their bye week and signed with the Eskimos mere hours later. A surprise indeed due to the fact that Boyd currently leads the CFL with 447 rushing yards through Week 7. 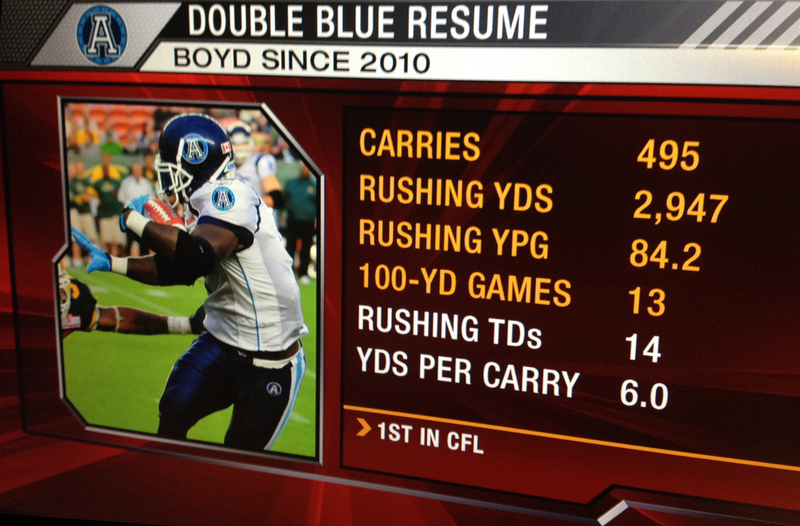 Since donning the Double Blue in 2010, Boyd leads the league in carries (495), rushing yards (2,947), rushing yards per game (84.2), and 100-yard rushing games (13).